[00:37:01] <maddash> jmkasunichalso, if you are trying to rectify a "signal" (a wire referenced to ground) instead of some power source like a transformer winding, a bridge will NOT give you full wave rectification <==== why? [00:40:11] <fenn> jepler: what's that from? 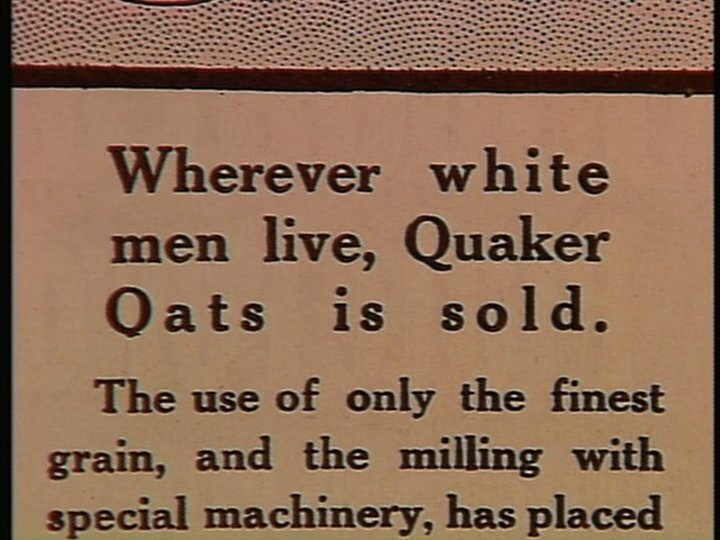 [00:40:38] <jepler> fenn: apparently it's a vintage quaker oats advertisement, but I saw it in connection2 episode "flexible response"
[00:41:24] <fenn> hm. "Flexible response represented a capability to fight across all spectrums of warfare, not just with nuclear arms"
[00:41:58] <fenn> "wherever white men live, Flexible Response(tm)"
[03:24:38] <SWPadnos> like "loop forever running a part and waiting for the operator to press 'cycle start'"
[03:28:44] <SWPadnos> was it preview or backplot you wanted to stop? [03:33:06] <jmkasunich> I thought you were doing brakes? [03:33:33] <jmkasunich> what exactly is a brake controller? [03:34:37] <jmkasunich> isn't the brake light wire part of the harness going to the trailer already? [03:34:54] <jmkasunich> so why the dash diving? [03:35:18] <jmkasunich> oh, a knob? [14:08:16] <cradek> jepler: do you think yang's question was about not being able to use apt? [14:10:14] <cradek> so he was able to get the CD but not install updates or new packages - ick. [16:50:07] <cradek> when I wanted to order a bunch of metal recently, they were one place I checked, and I wasn't impressed by their pricing. [16:50:22] <jmkasunich> what were you comparing them to? [16:50:54] <cradek> this was early Nov.
[16:52:29] <cradek> that's sure nice I bet. [16:52:46] <cradek> I have a local supplier too, but they are pricy and I only go there when it's urgent. [16:55:22] <skunkworks> dad got rid of a lot of copper and iron while it was up. [21:21:02] <DanielFalck> where are they posted? [21:23:08] <jepler> that must be 5-axis work? [21:23:34] <jepler> or just multiple mountings? [21:25:04] <anonimasu> the flowline contouring stuff I did for the press tool was done in mc..
[21:30:20] <DanielFalck> you want to look at the code? [21:56:34] <Vortex> how can I drive it using normal VFD? [22:48:23] <seb_kuzminsky> what's some good warp-speed pickin' i should look for? [22:51:43] <cradek> BigJohnT: just some unknown group at some outdoor festival - there are lots of them on youtube! [22:53:58] <seb_kuzminsky> cradek: the hillbilly gypsies? [22:56:18] <BigJohnT> seb_kuzminsky: you ever listen to Alison Krauss? [23:54:53] <jmkasunich> re: hot - in the intro to that song, the guitar player introduces her as his wife, then says "Sorry, boys"